The margarita is certainly the cocktail most frequently associated with Mexico, but have you ever wondered about its history? Simple and refreshing, the original margarita combines fresh lime juice, tequila, triple sec (orange-flavored liqueur) and ice. 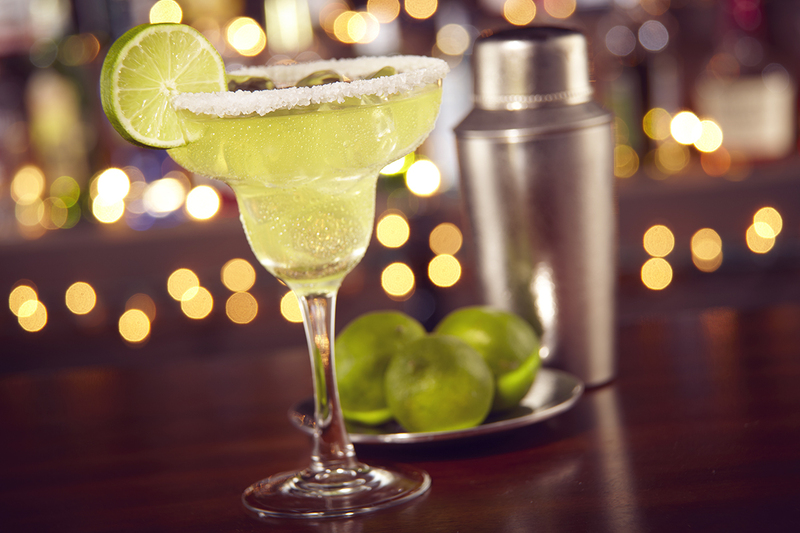 The margarita is served either on the rocks (shaken and served over ice) or frozen (blended to produce an icy beverage). The original lime margarita, not to mention many of the other flavors that are now on the market, is typically served with a salted rim. Over the years, margarita flavors have expanded immensely and now include a range of fruit varieties; mango and strawberry are especially popular choices alongside classic lime. 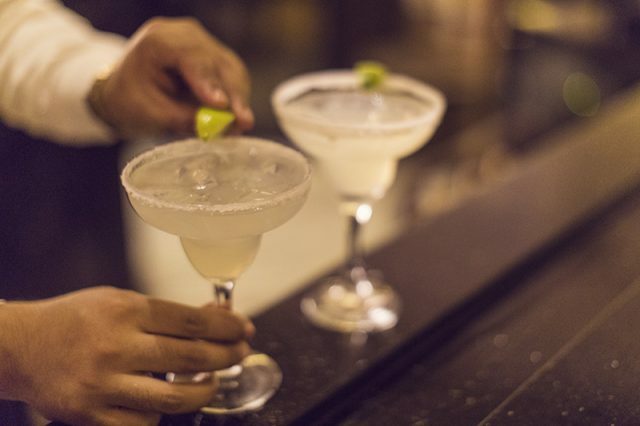 While the true history of the margarita will probably never be known with absolute certainty, there are many stories that claim its origin, most of them describing an encounter with a beguiling woman. This story credits bartender Don Carlos Orozco for inventing the margarita while he was working at Hussong’s Cantina in Ensenada. One day while he was playing around with new cocktail combinations, the daughter of a German ambassador, Margarita Henkel, walked in. He reportedly served her one of his new drinks. Since she was the first person to try it, the bartender chose to name the beverage in her honor. This story may very well explain the true background of the margarita. 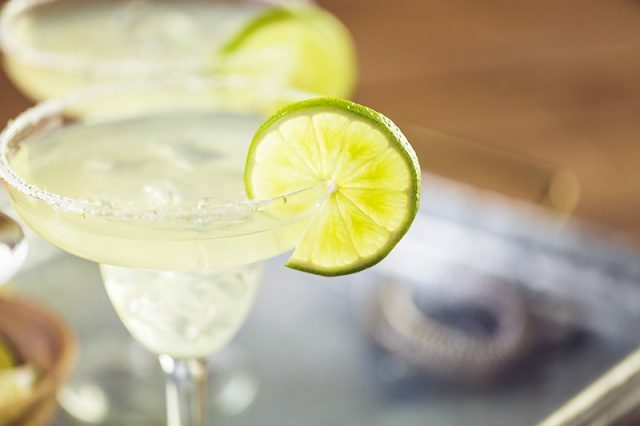 Many believe the margarita is an offshoot of a cocktail that was popular in the United States around the Prohibition era, which was known as the “Daisy”. Because drinking alcohol was illegal there but welcome in Mexico as soon as the border was crossed, it was a sought-after destination for partying. Even then tequila was widely available in Mexico, so it was likely used in place of other liquors such as whiskey, brandy or gin that usually went into a daisy. The latest version of the daisy featured fresh lime juice, orange-flavored liqueur, a splash of soda and of course tequila. Margarita also happens to be the exact Spanish translation of daisy, further cementing the validity of the story. The oldest story with claims on the margarita goes to this one, which dates back to 1938! There was a restaurant located between Tijuana and Rosarito called Rancho La Gloria where gorgeous Ziegfeld showgirl Marjorie King was a frequent guest. The restaurant’s owner, Carlos “Danny” Herrera, decided to create a new cocktail for the beauty because she was apparently allergic to most types of liquor but was able to enjoy tequila without incident. He decided to call it the margarita after her (which is the Spanish name for Marjorie). Dallas socialite Margarita Sames has been named as the inventor of the tasty drink ever since she whipped up a batch of the cocktail and served it to guests who joined her in Acapulco at her vacation home. Tommy Hilton was one of her guests during the trip, and he fell so hard for the yummy concoction that he took the recipe back with him to his family’s hotels (the Hilton brand, of course), where the cocktail was soon one of the most sought-after drinks on the hotel menu. Jose Cuervo, which is one of the biggest tequila producers in Mexico, declares that the margarita was dreamed up in 1938 by a bartender who was inspired by Mexican showgirl Rita de la Rosa. Another tale maintains that the margarita was created in Tijuana in the 1940s when actress Rita Hayworth (whose given name was actually Margarita Cansino) was working at a theater there; she reportedly enjoyed the fruity drink and it was immediately named for her. Regardless of how the margarita really came into existence, it remains one of the most delicious cocktails around, so be sure to sample a variety of them during your next vacation in Mexico.